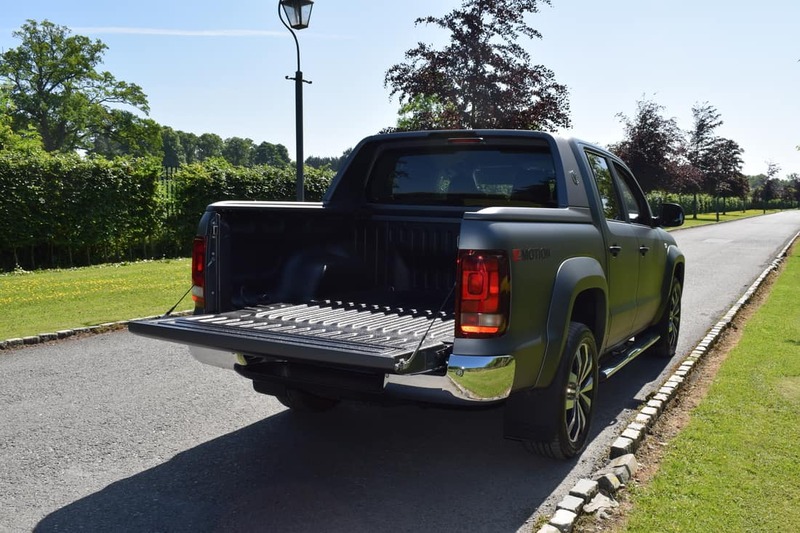 The versatile, functional and handsome VW Amarok double-cab pick-up has been a common sight on our roads since 2010, having originally been designed for the South American market. 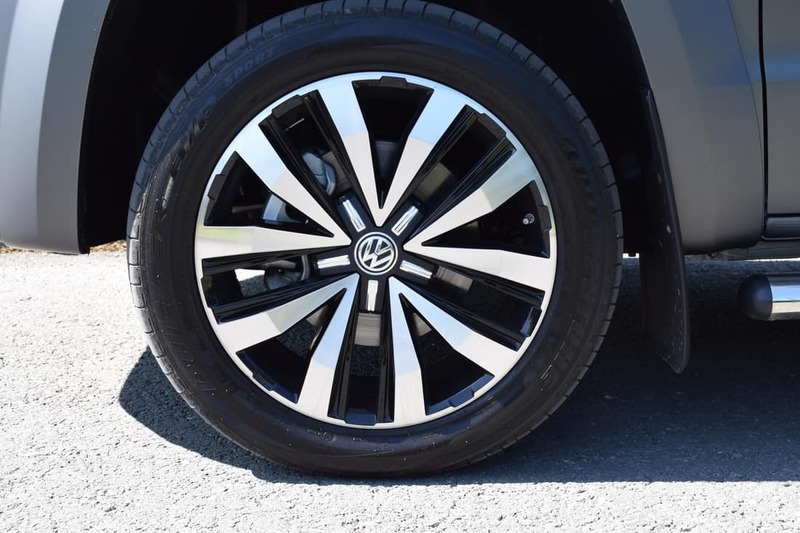 However, senior product management in Volkswagen’s headquarters in Germany saw merit in having a pick-up in its European line-up and subsequently launched the Amarok in European specification. Now, 7 years later, Volkswagen’s face-lifted model is sure to copper-fasten its position in a congested segment. 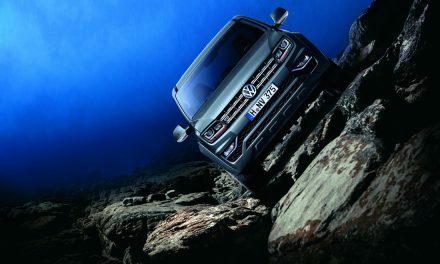 The VW Amarok gets a mild facelift and a brand new diesel engine, making it one of the best vehicles in its class. 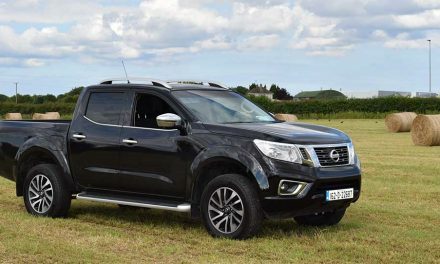 The Amarok’s current competitors include the Nissan Navara, Ford Ranger, Mitsubishi L200, Toyota Hilux, Fiat Fullback and Mercedes-Benz X-Class. 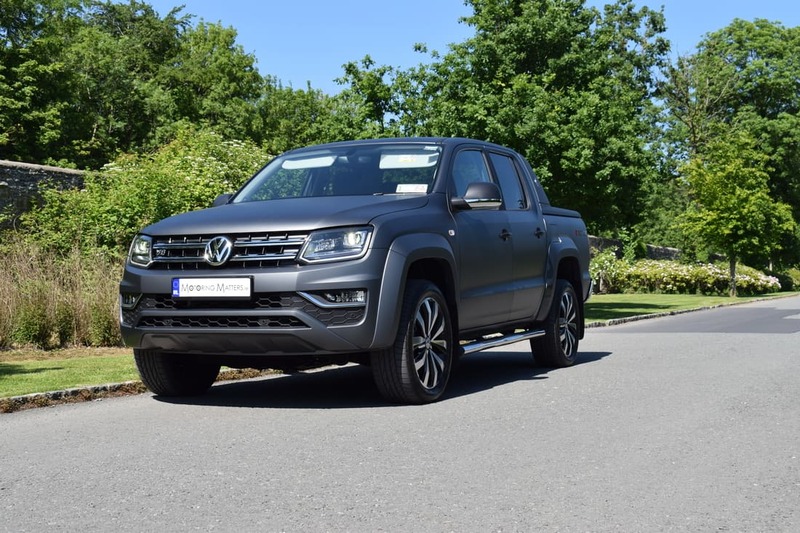 The new VW Amarok looks pretty much the same as the original in many respects, with its underpinnings remaining unaltered. Exterior changes have been limited to a redesigned front bumper, front grille and alloy wheels, while inside there is a new dashboard and an improved infotainment system. The highlight, however, is the new 3.0-litre V6 diesel engine, which makes light work of any job that the Amarok is faced with. 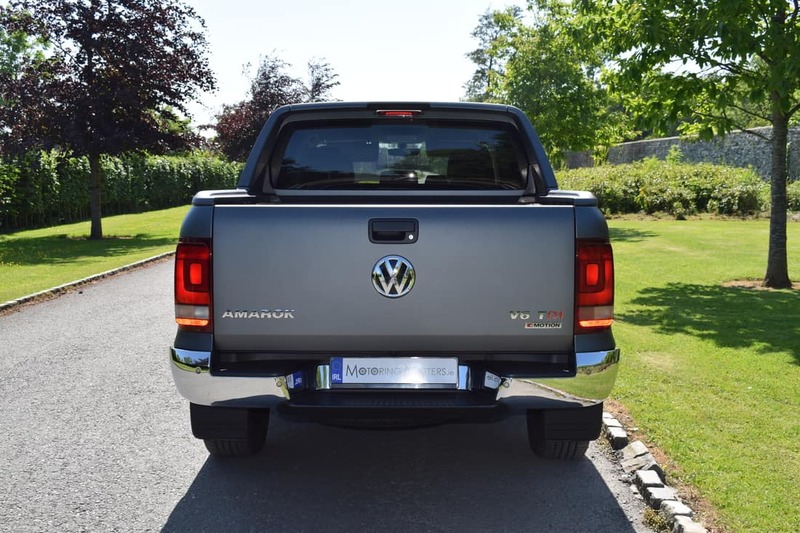 This wonderful engine is standard across the entire Amarok range, with all models attracting annual road tax of just €333 (standard commercial vehicle tax rate). 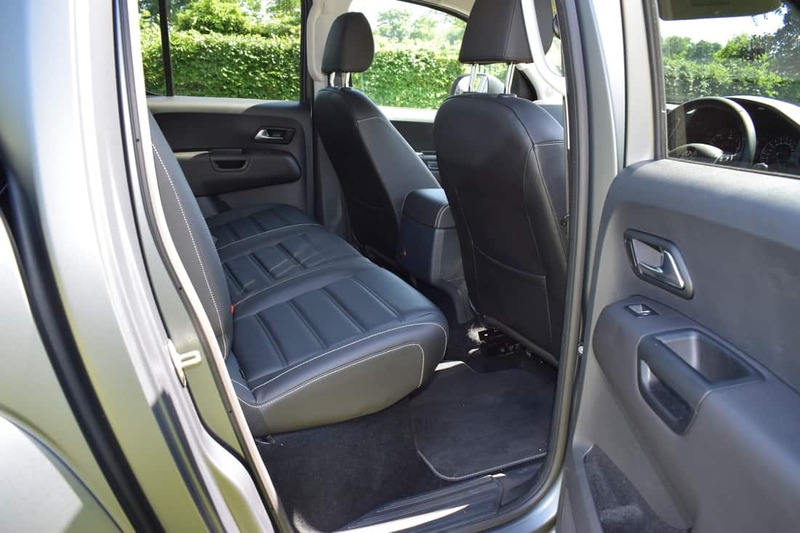 Four specification levels are available in the new VW Amarok – Trendline (163bhp), Comfortline (163 or 204bhp), Highline (204 or 224bhp) and Aventura (224bhp). Transmission choices comprise of a 6-speed manual gearbox or a slick-shifting 8-speed automatic – representing a ‘first-in-class’ in the segment. 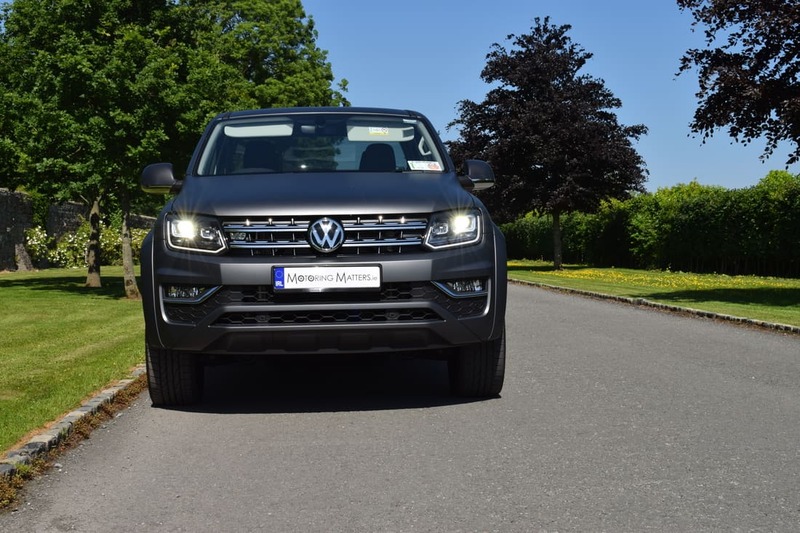 My test vehicle was a new VW Amarok 3.0-litre V6 ‘Aventura’ (flagship model) mated to a fabulously smooth 8-speed automatic gearbox for a truly car-like driving experience. 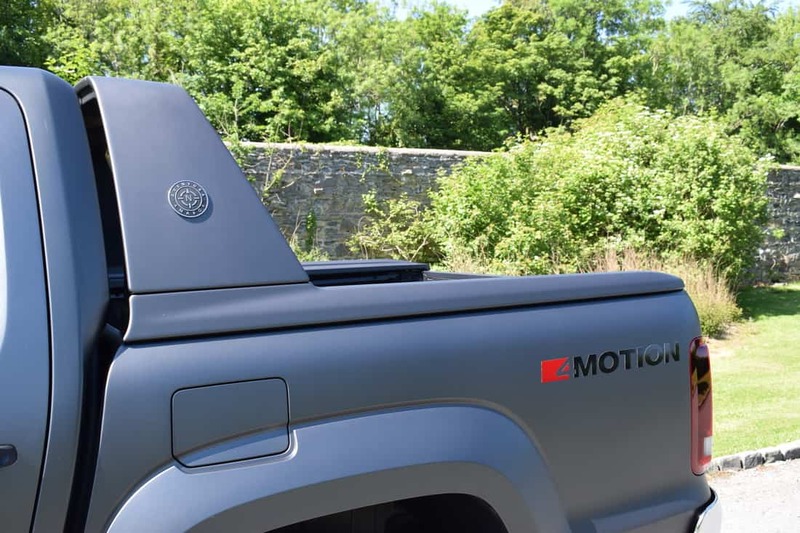 A stop/start system is standard across the Amarok range, as is BlueMotion engine technology and 4Motion all-wheel-drive. 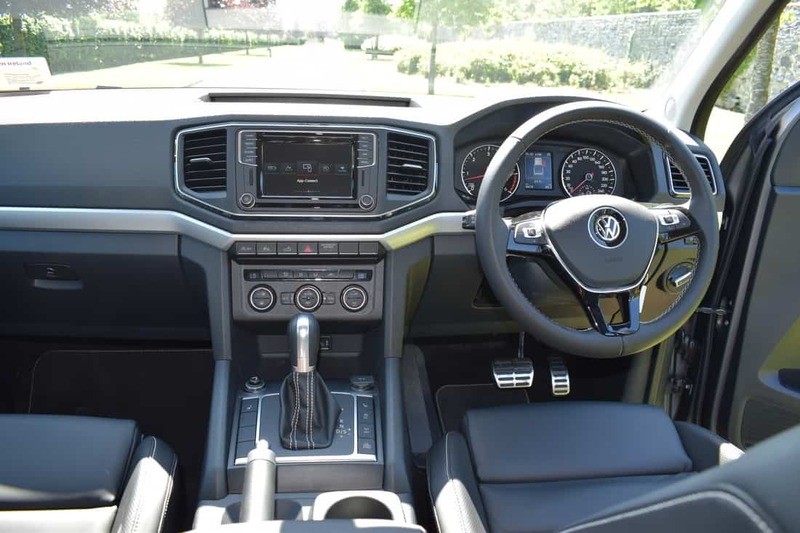 Standard specification across the entire Amarok range is impressive, while my test vehicle included such standard features as 20” Talca alloy wheels, sports bar in body colour, chrome side bars with steps (illuminated), ‘Discover Media’ satellite navigation with DAB radio, voice control and Car Net – App Connect, leather multi-function steering wheel with shifting paddles, heated seats & washer nozzles, special design leather seat trim covers, ‘Ergo-Comfort’ seats with 14-way adjustment, load compartment coating (which is resistant to abrasion and stone impact) and numerous other safety, security and comfort features. 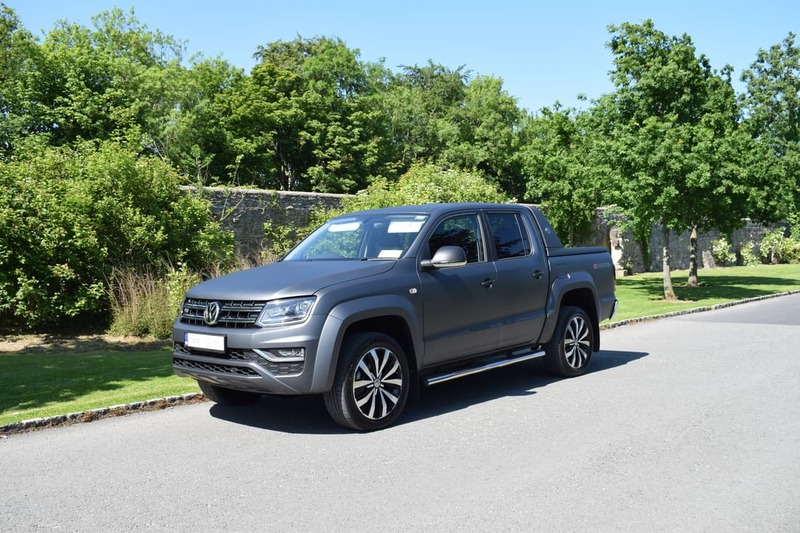 The jury rated the Amarok as the epitome of ‘work hard, play hard’, a core element of the entire pick-up segment and described the Amarok as a “top pedigree workhorse”. The clean & stylish design, along with quality workmanship were specifically cited by the jury as being key factors in their decision. 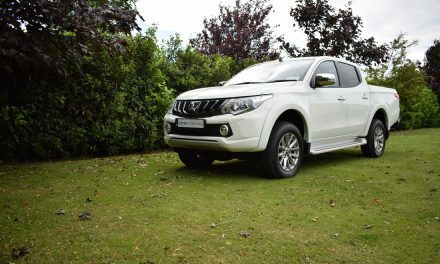 The size of the double cab with room for five people, the benchmark in the segment, also impressed with its modern design. The Ergo Comfort seats for driver and front-seat passenger also won over the jury, who in addition highlighted the unique eight-speed automatic transmission and broad V6 engine specification in the segment. The, award-winning new VW Amarok range is priced from €37,990 on the road (including VAT), while my test car costs €60,485 (inc VAT). 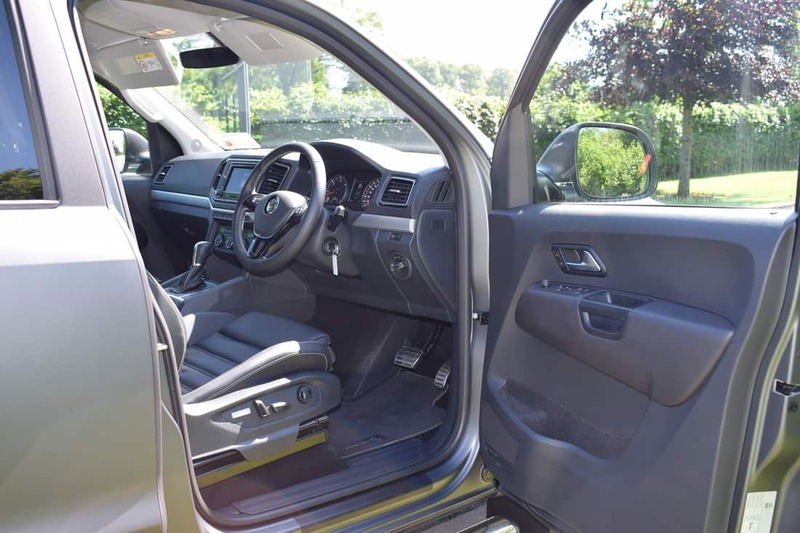 For buyers in the market for a worthy, stylish, capable and reliable 5-seat pick-up now is the time to make that ‘adventure’ with the new VW Amarok.